Will filing a claim cause my auto insurance premiums to increase? Like most Canadians, you probably feel that your auto insurance premiums are higher than they should be. And, consequentially, you’ll do what you can to make sure they don’t get worse. You know that driving cautiously and avoiding speeding tickets is one way to keep your premiums down. But what about filing a claim? Does making a claim with your insurance provider actually cause your premiums to increase? Sometimes. It usually depends whether you are at fault. If your insurance company determines that you’re at fault for the accident, your auto insurance rates will usually increase at renewal time. These new, elevated rates will stay elevated for up to six years. If your insurance company determines that you’re not at fault for the accident, you will usually see no increase on your auto insurance rates. It’s important to remember that your insurance company’s determination of “at fault” is not always the same as what the police determine. Your insurance company can consider you at fault for an accident even if the police have cleared you. Ultimately, it depends on your particular situation, and which company is providing your insurance. Different providers have different policies that address claims (and different types of claims) in different ways. For example, some insurance companies offer accident forgiveness. This protection allows you to file a claim without having to worry about a potential increase to your insurance rates. However, accident forgiveness is specific to your insurance company and the accident will still appear on your driving record. Later, if you want to change insurance companies, you might find the alternatives unaffordable if they choose to count your accident against you. Should I avoid filing a claim if possible? If you get into an accident and are debating whether or not to file a claim, there are a few things you need to know. First, most insurance companies require you to report accidents if the damage is above $1000 or $2000. Some people don’t follow this advice, but it’s worth reading your policy to see what it says about mandatory reporting. Second, if you’ve caused damage to another person’s vehicle and he offers to accept cash in lieu of filing a claim, beware! Although this practice is relatively common, there is nothing stopping this stranger from taking your money and filing a claim. As with any accident, make sure to report the incident to the police and exchange contact information with the other party and any witnesses. You might not use your accident report or need the contact information, but they’re nice to have, just in case. Either way, if you get into an accident, you’re going to have to pay. 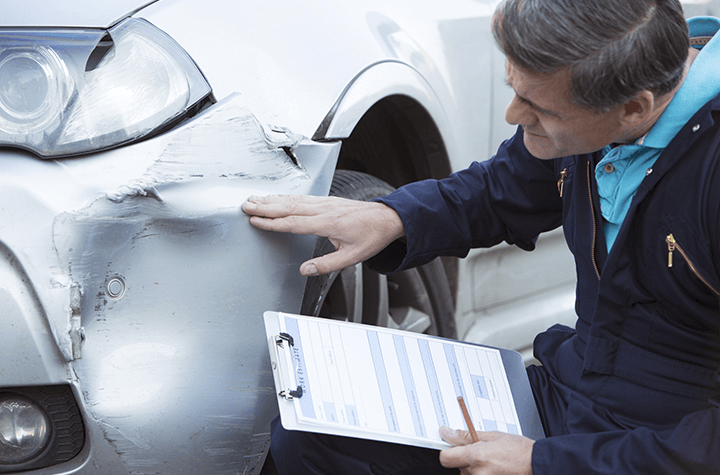 Even if you choose not to file a claim with your auto insurance company you will need to repair the damage to your vehicle. And, in most situations, if you choose to report the accident to your auto insurance company, your rates will rise for a period of up to six years. It can be difficult to determine what the long-term net result of filing or not filing will be. Sometimes it helps to speak with experts about it.